After ten years of research, design, and democratic process, SUN Studio is excited to announce that the SILO sustainable neighborhood in Lafayette, Colorado received unanimous approval from the Lafayette Planning Commission on November 29th, 2016. 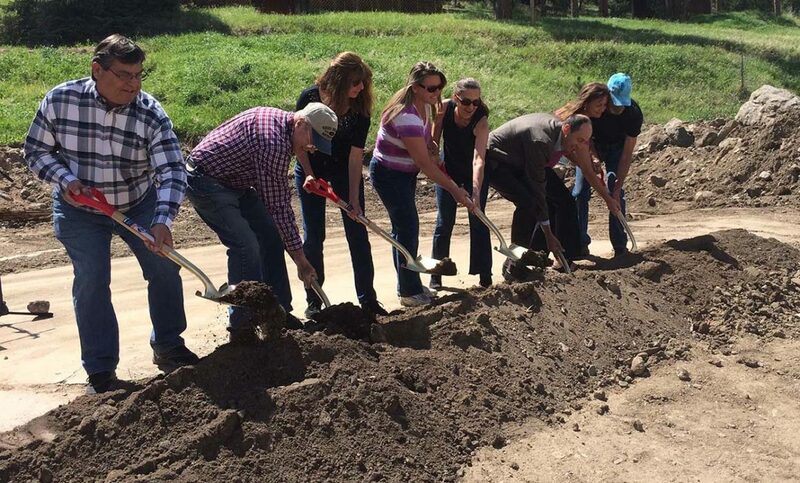 Groundbreaking is scheduled for summer 2017. SILO is model sustainable neighborhood that incorporates passive solar, high-performance, net-zero energy homes; green infrastructure; urban agriculture; aging in place; and a diversity of home sizes into a compact, walkable, urban mixed-use neighborhood. Located near the cross roads of highways 287 and 7 in Lafayette, Colorado, the buildings at SILO are clustered close to regional public transit leaving almost half the acreage as parks and rural conservation. Michael Tavel’s essay, “The Culture of Green Neighborhoods,” argues that sustainable design should emphasize beautiful experiences that can underlie sustainable lifestyles. Sustainability, he writes, is not embodied in a technology, a policy or a thing. It is; rather, a cultural practice, and a creative opportunity. And we should treat it so. The essay is now available in the new book titled In Pursuit of a Living Architecture: Continuing Christopher Alexander’s Quest for a Humane and Sustainable Building Culture, edited by Kyriakos Pontikis and Yodan Rofe. Christopher Alexander is a renowned architect, and the author of many famous books on architecture and urbanism including “A Pattern Language,” “The Timeless Way of Building,” “A New Theory of Urban Design,” and “The Nature of Order.” Michael studied with and worked for Christopher Alexander in the late 1980s. 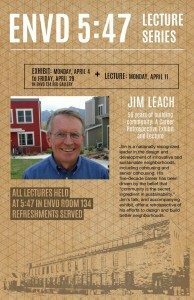 We have set up a lecture by our dear friend Jim Leach, a leading developer of cohousing and sustainable communities, at the CU Boulder Program in Environmental Design on Monday, April 11th at 5:45 PM. It will accompany a career retrospective exhibit. 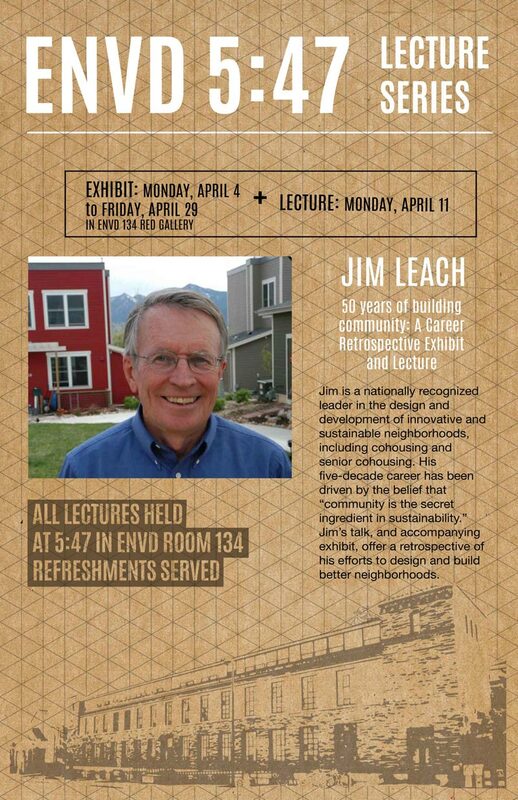 It would be wonderful if you could come honor Jim, and hear him reflect about his five decades of efforts in building healthy communities. ENVD will also be offering 1.5 AIA HSW continuing education credits for architects. The lecture begins at 5:45 on Monday, April 11th. It is at ENVD, 1060 18th street, Boulder, CO 80309, on campus. Parking is available in the Euclid parking garage across the street from the school. SUN studio, a progressive, award-winning, architecture, urban design and landscape design firm specializing in sustainable urban neighborhoods, is hiring. 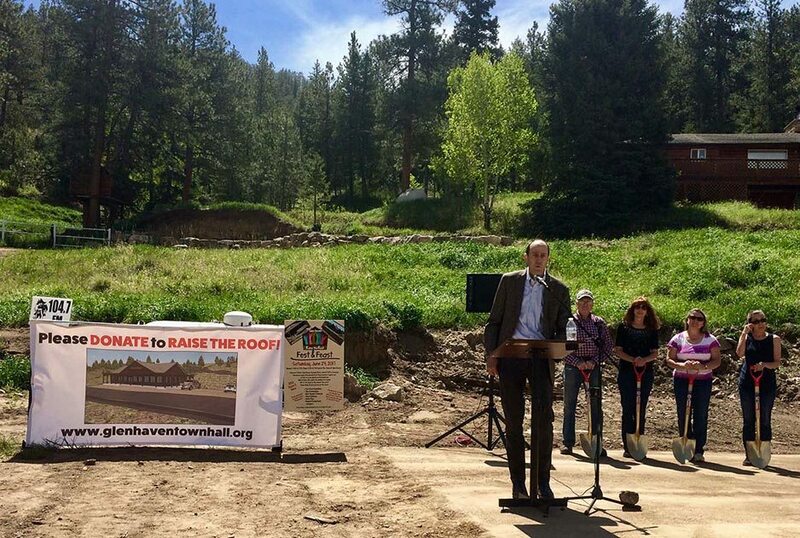 Our projects are net-zero energy, sustainable urban neighborhoods that incorporate green building, green infrastructure, urban agriculture, and which support sustainable lifestyles. We are hiring two positions. Designers may be interdisciplinary with skills and passions that incorporate both job descriptions. • Intern or early career architect with a passion for green buildings, produced with digital prefabrication. Excellent design skills, and knowledge of Revit. • Intern or early career architect/urban designer/landscape architect with a passion for green neighborhood design, green infrastructure, horizontal infrastructure design and construction documents, and planning approval documents. Excellent design skills, and knowledge of autocad and sketchup. Michael Tavel’s lecture, “Sustainability as Creative Practice,” has been posted on line by public television in Toledo, Ohio. See the full presentation HERE. 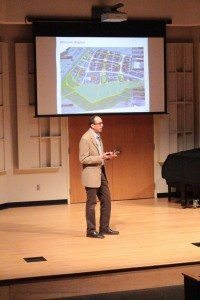 The Geos Net-Zero Energy Neighborhood, developed by Norbert Klebl and winner of many design awards, broke ground in August of 2015. Infrastructure for Phase I was installed in the fall, and foundations are currently under construction for the first five dwelling units. 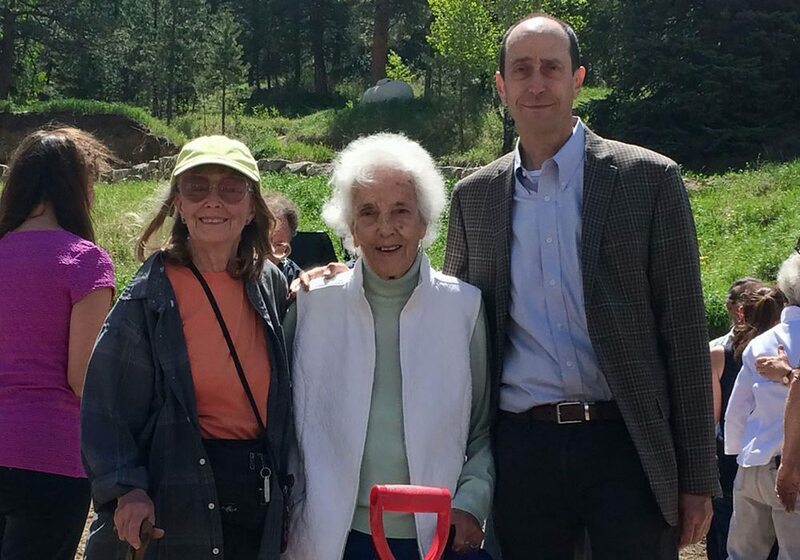 Deep thanks go out to Norbert Klebl for his persistence in pursuing a model sustainable neighborhood. Pictured: Michael Tavel, David Kahn, and Norbert Klebl this past fall at Geos. 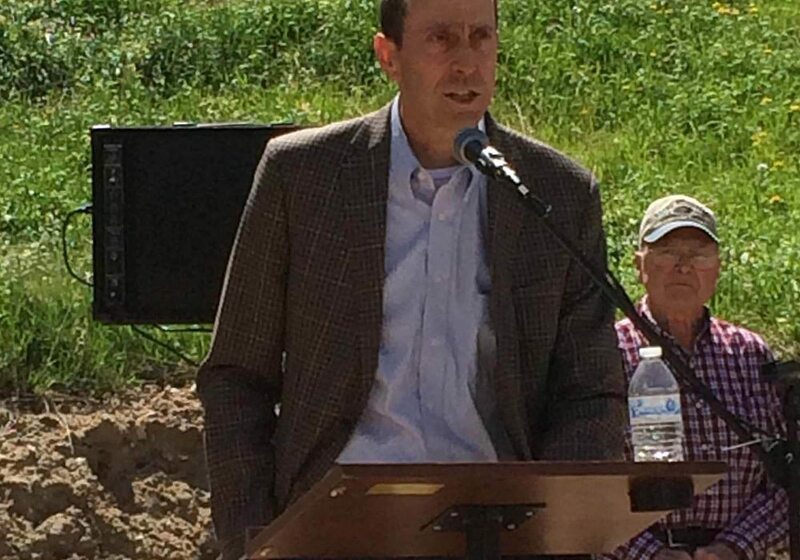 Michael is quoted in a Denver Post article about smart cities. SUN Studio are the landscape architects on this indoor-outdoor house just now completed in La Jolla, California.